This project involves understanding the role of paraoxonases 1 and 2 (PON1 and PON2) in modulating oxidative stress-induced neurotoxicity. Both PONs exert antioxidant effects, but have different tissue localizations, with PON1 situated in liver and blood, and PON2 intercellularly in all tissues including the brain. The researchers are examining the modifications of mouse paraoxonase 1 resulting from exposures to manganese (Mn) and cadmium (Cd), and will test the hypothesis that PON2 may protect PON1 from the effects of oxidative stress. The latter hypothesis is based on a recent finding that under conditions of oxidative stress, the catalytic domain of PON2 is found on the outside of cells where it protects the membrane lipids from oxidation. Researchers are also examining the modulation of PON2 levels by estrogens and dopamine in the CNS and the role of microglial PON2 in the neuroprotective effects of estrogens. They will also attempt to develop a ”PON2 status” by examining the levels of PON2 protein, activity and mRNA in macrophages. PON2 levels in males, and in pre- and post-menopausal women are also being analyzed. The research team is also examining the role of PON2 in modulating susceptibility to manganese- and cadmium-induced oxidative stress. Altogether, the experiments are providing novel information on the role of PON1 and PON2 in modulating oxidative stress and protecting individuals from cardiovascular and neurological diseases. This research is furthering our understanding of gender differences in sensitivity to these agents, and how these differences may relate to differences in incidence of Parkinson’s and vascular disease between the sexes. 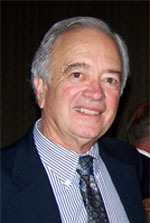 Principal Investigator: Clement E. Furlong, Ph.D.